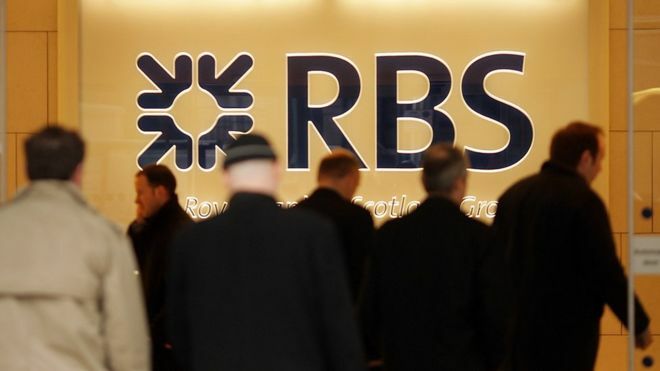 Royal Bank of Scotland has agreed a £3.65bn ($4.75bn) settlement for its role in the sale of risky mortgage products in the US before the financial crisis. The settlement is with the US Federal Housing Finance Agency, which oversees the secondary mortgage market. A separate deal with the Department of Justice is expected later this year. The boss of RBS said the fine was a "stark" reminder of what happened to the bank before the financial crisis. RBS has set aside a total of £6.7bn ($8.6bn) as a provision for both payments. The bank's chief executive Ross McEwan, said: "Today's announcement is an important step forward in resolving one of the most significant legacy matters facing RBS. "This settlement is a stark reminder of what happened to this bank before the financial crisis, and the heavy price paid for its pursuit of global ambitions." The UK government still owns 72% of RBS and has been waiting for its performance to recover so it can start selling some of that stake.